On Thursday 19th July 2018, World Youth Alliance Africa held the Youth Summit 2018. It is an annual WYA programme activity under education for young people bringing change in the community. 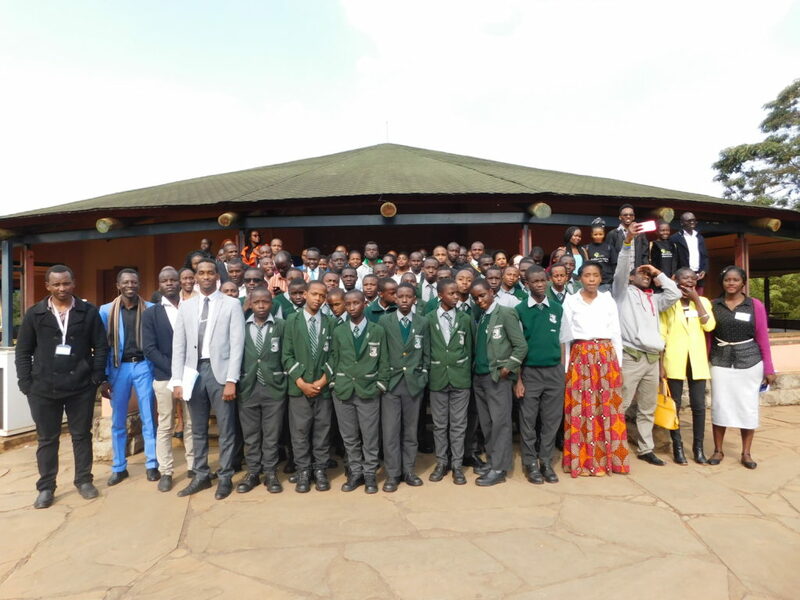 Held at the United States International University – Africa (USIU-A) Auditorium, this was in collaboration with the Youth Alliance for Leadership Development (YALDA) Chapter from the institution. The theme for the summit was ‘Technological Innovation by the Youth to Transform Africa’, which is a key emerging trend on the African continent today with the youth doing more in technology in the area of invention and innovation. It was a cool day of sunshine in a cold season typically characterized by overcast skies and chilliness, hence very conducive for many young people to join us. In addition, the activity was being held at a state-of-the-art auditorium that had all the required amenities to conduct the summit with excellent delivery to the audience. Therefore, just as the weather was forgiving, so was the activity that was happily marked with a smooth flow in the execution of all activities, after intense preparations. Registration began at 9:00 a.m. and people settled in, thereafter we had the official opening and invigorating welcome remarks from Diana Kolek, the Patron of Youth Alliance for Leadership and Development in Africa (YALDA) USIU-A Chapter, Alice and Wendy as part of the WYA Africa team, and Patricia, the Regional Director of World Youth Alliance Africa. The subsequent presentation from speakers were keenly followed and taken-up by the audience with every speaker receiving numerous questions from the audience. The highlight of the day was an unprecedented talk by Upper Hill High School students who started off by entertaining the audience with a popular Kenyan viral dance move called ‘odi ’ that lightened the mood of the summit. They also spoke on their role in technology as young people as well as shared with us a recent app that was launched by some of them this 2018 to encourage upcoming music and dance artists to share their talent. The joy of the summit was evident even during the health breaks as the audience interacted cheerfully as they partook of their refreshments. At the end of the summit, the audience enjoyed a photo-session with the leaders of the two organization and speakers. Most speakers were also bombarded with follow-up queries during the breaks and at the end of the summit which showed the great interest that the audience had on the summit. Generally, the day can be described as having been very enlightening with speeches and presentations from Green Kenya with David Mulo sharing on innovation by teaching children through football, ibiz Africa with Esther Saya sharing on e-commerce, Portable Voices represented by Allan Niongira speaking on creating content from Africa and spreading knowledge through narratives for the visually challenged, ibiz Africa with Andrew Kimutai who spoke on understanding challenge based learning and Oceanic Mediators who covered the role and importance of intellectual property through Attoney. Victor Baba and Kelvin Kamande, an advocate of the High Court of Kenya, Among other splendind presentations. There was a fair attendance of youth from the region, with Kenya, Somalia, and Tanzania being represented. The success of the summit is attributed to the seamless collaboration between World Youth Alliance Africa and the Youth Alliance for Leadership and Development in Africa (YALDA) USIU-A Chapter who continue to be an active partner to this activity since 2017. We give a hearty vote of thanks to everyone for making the day a success and we look forward to the Youth Summit 2019.